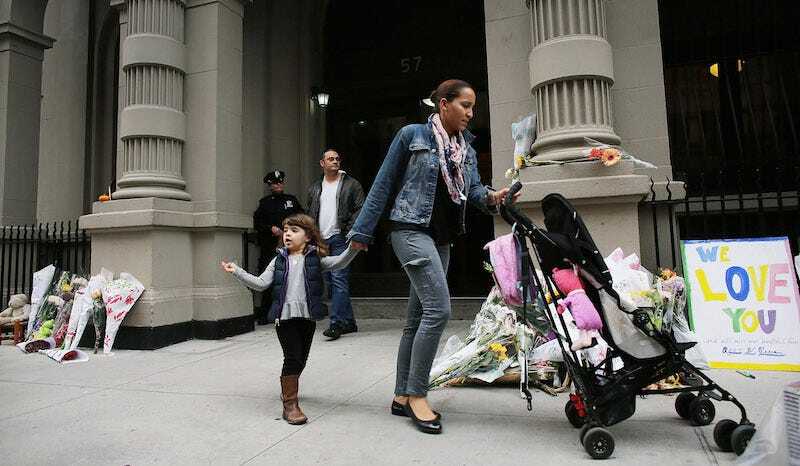 Three years ago this October, Marina and Kevin Krim experienced potentially the worst horror imaginable: their daughter Lulu, 6, and son Leo, 20 months, were killed in their Upper West Side apartment, allegedly by couple’s nanny. But a third child, Nessie, was out with her mother at the time of the murder. And the Krims announced recently that in addition to their son Felix, who was born in October 2013, they’re expecting a baby boy in late January, as the New York Daily News originally reported. “Nessie is excited about her new role as queen bee of the family and little Felix (who turns 2 this weekend) is thrilled to give up his crib to become roommates with Nessie in a new bunk bed! With each new baby, we feel a special and closer connection to Lulu and Leo, who are a constant presence in their siblings’ looks, gestures and voices,” the couple wrote on their Facebook page. These two are clearly tougher than I’ll ever be. The nanny, Yoselyn Ortega, told police she killed the children because of financial issues, and because she “had to do everything and take care of the kids ... I worked as a babysitter and [Marina Krim] wanted me to do everything.” Ortega was deemed fit to stand trial, though a court date has not yet been set. Note: an earlier version of this article linked to but did not directly credit the New York Daily News; wording has been changed to reflect this post’s sourcing.